We provide a reliable and professional same day delivery service in which you and your customers always come first. Wherever you may be across the UK, one of our team of committed and punctual drivers can be with you within an hour of booking and deliver directly to the destination(s) of your choice. As well as our ‘Express Same Day’ service, we offer more flexible same day and next day services for less time critical consignments. For a free no obligation quote, either give us a call on 01978 800 192 or if you’d prefer, fill in the quote request form below and we will get back to you within 10 minutes! 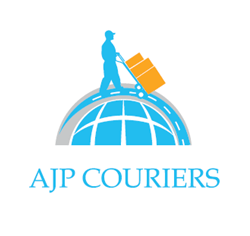 "AJP Couriers are an amazing company to deal with. Nothing is too much trouble for them and they went above and beyond my expectations." "Fantastic service. Very efficient. Would highly recommended. Thanks all." "Fantastic service, excellent communication. Wouldn’t hesitate to recommend!" "First class service from start to finish, thank you very much."